Truffles N Bacon Café is the brainchild of the talented and passionate Chef Jackie Lim. Her expertise in incredibly tasty comfort food concoctions has been her road to success for many years. A job in a diner in small town Modesto, CA provided a means of survival back in the late eighties. What began as a paycheck grew into a passion. Becoming a professional chef is an achievement that was a breakthrough in Lim’s career. She started out as a prep cook, quietly observing what the other “real” cooks were doing. On one busy day, she was asked to help the line because the diner was short staffed. Two months later, she was already running her own shift. An opportunity to work at the renowned Beverly Hills Hotel in California, working long hours, taking shifts that nobody wanted and doing tasks that no one was willing to do, a great mentor finally took notice. After realizing she has the talent and passion for food, she set her sight to reach the top. Not having the educational background and being in a male dominated field were her biggest obstacles. Being driven and her persistence has earned her the acknowledgement and respect from her biggest detractors. Her humble beginnings as a self-taught chef with an innate ability for creativity and flavor brought her professional chef career from a small diner in Modesto, to Los Angeles then New York, where a spectrum of clientele (from socialites to an ex-president, senators to your average Joes) has been able to experience her creations, to becoming the first female executive chef of Stew Leonards, a multi-million dollar and listed as one of Fortune 100’s Best Companies to work for 5 years in a row. Fast forward to 2014 to 2017 …. 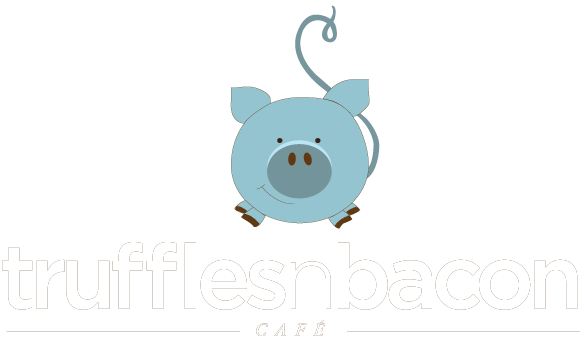 Who would have thought a veterinary school dropout would one day be the owner and the driving force behind Truffles N Bacon Café? Who would have thought that the Food Network’s Ginormous Food Show would take notice and ask her to create what is now known as The Belly Of The Beast? No one … not even Lim. Unrestricted by rules, Chef Jackie believes food should have an element of fun while bringing in flavor to every dish she creates for Truffles N Bacon Café. Every smile, maybe even a slight giggle after your first bite, is the most rewarding reassurance that she has chosen the right path.